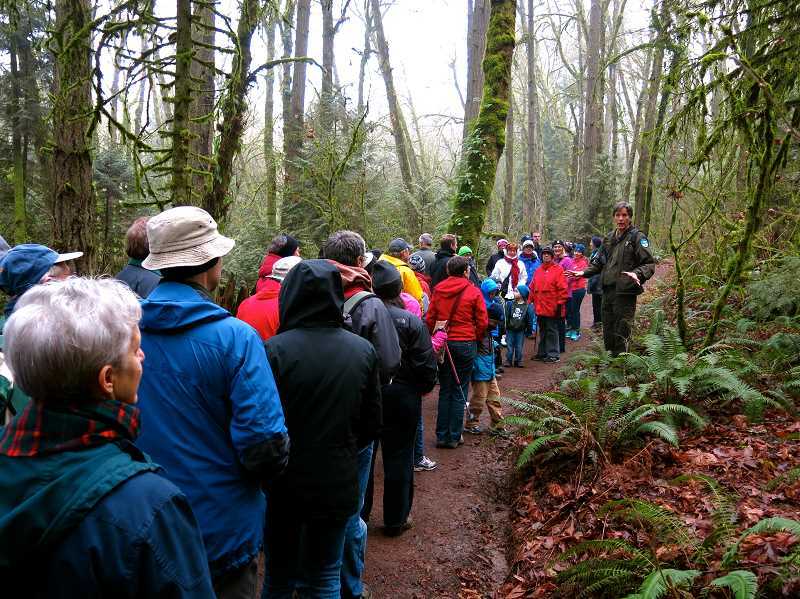 Oregon State Parks encourages people to be outdoors to start year with its First Day Hikes event in parks around the state. Famed naturalist John Muir once said, "In every walk with nature one receives far more than he seeks." On New Year's Day, that could be you. 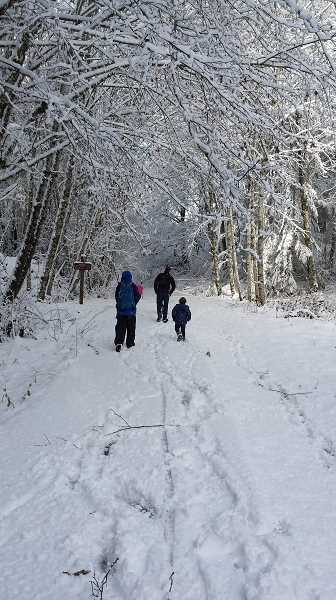 The Oregon Parks and Recreation Department is waiving parking fees at state parks for its guided First Day Hikes event. Every year on Jan. 1, Oregonians and travelers can visit a participating state park and be a part of a guided, free hike by a park ranger. L.L. "Stub" Stewart State Park, located off Highway 47, is about 18 miles from Forest Grove and is participating in the one-day event. Beginning at 10 a.m., participants can meet at the Hilltop Day-Use Area before trekking on the two-mile planned hike promising views of Boomscooter Pond and a survey of the park's 1,800 acres. Not only is the whole family invited, but dogs are encouraged to join as long as they are on a six-foot leash. Make sure to wear layers and sturdy shoes, and pack water and binoculars for wildlife viewing. Other participating parks nearby include Tryon Creek State Park in Portland at 9 a.m., with meet-up set for the nature center; Champoeg State Heritage Area near Newberg, starting at 10 a.m. and 2 p.m. at the visitor center; and Silver Falls State Park at 10 a.m., meeting at the South Falls Lodge porch. More information about participating parks, including maps and directions, is on oregonstateparks.org. Interested? Online registration isn't required but is encouraged on the Oregon State Parks website.